Stress Indicators is a Maryland manufacturing company with six employees. Much of the raw materials for the product as well as the final bolt are made in the U.S. and sold worldwide. This year, production is expected to increase from 25,000 per year to 75,000, with additional increases expected next year. The company credits the U.S. Commercial Service of the International Trade Administration with providing help needed to go global. Company president Charles H Popenoe, III shared his story with Doug Barry of the Trade Information Center. Barry: How did you get into this business and how did this business start? Popenoe: My father, also named Charles Popenoe, worked for National Institute of Standards and Technology as a scientist. And in his spare time, as a hobby, he was an inventor. He still is an inventor. And he invented the SmartBolt and patented it. Barry: How did he do it? Did he invent the SmartBolt in his garage or his basement? Barry: And he just tinkered around, and there it is? Popenoe: Well, he saw an article in Popular Science about a bolt with a little glass window that breaks when you tighten it to the proper tension. And so he said, well, that’s neat, but I can come up with a better idea than that. And he worked and worked and actually took 10 or 15 years to develop it. Barry: How are the bolts used and by whom? Popenoe: The applications are numerous. But we’ve had one in particular that’s caught on, and it’s really caught on worldwide. It’s our most successful application. It’s used for electrical connections. And basically you’re joining conducting bars and they’re carrying current, and they’ve got to be tight, or else you get heat buildup and potential of arc and other issues. It’s easy for inspection as well, because you can just look at the bolt and know that it’s properly tightened because of the color of the indicator in the head without touching these high-current-carrying bars. Barry: When did you start selling outside the United States? Popenoe: We were really just focusing on the U.S. We got a few inquiries from overseas. And one that we cultivated was with a Turkish company. It was 2009 when we got our first big order from them. And at that point, the people we were working with suggested that I talk to the Baltimore Export Assistance Center (of the Department of Commerce) to help us get started in our exporting program. Barry: And have there been sales to additional countries since the sales to Turkey? Popenoe: Yes. Our sales to Turkey are ongoing, so we’ve been able to keep that customer happy. But we’re also selling to Taiwan. We have a new agreement with a company in Australia to sell throughout Southeast Asia. We’re selling to South Africa, Japan, Korea, and the list goes on really. We have a good Internet presence and website, and we’re strong on search terms like “tension-indicating bolts,” “torque-indicating bolts.” And we get a lot of interest from overseas from our website. We develop these leads right here in (Maryland) usually by email and we don’t have to travel. I’m actually going to Istanbul next month to visit my Turkish customer. They’ve become a very important part of our business so it’s about time I visited them. Barry: What other kinds of help have you received from government? Popenoe: One of the outputs of our work with the Export Assistance Center was being able to create a business plan to submit to the state of Maryland for an Export Maryland grant, which helps pay for some of our international sales efforts. And that actually led to a U.S. Department of Commerce trade mission to Brazil that we did the following year. So it’s really been a series of services and they’ve all helped, really. Barry: And a written export plan obviously was helpful to you. What are the main components of the plan? Popenoe: Well, it’s really identifying our market. 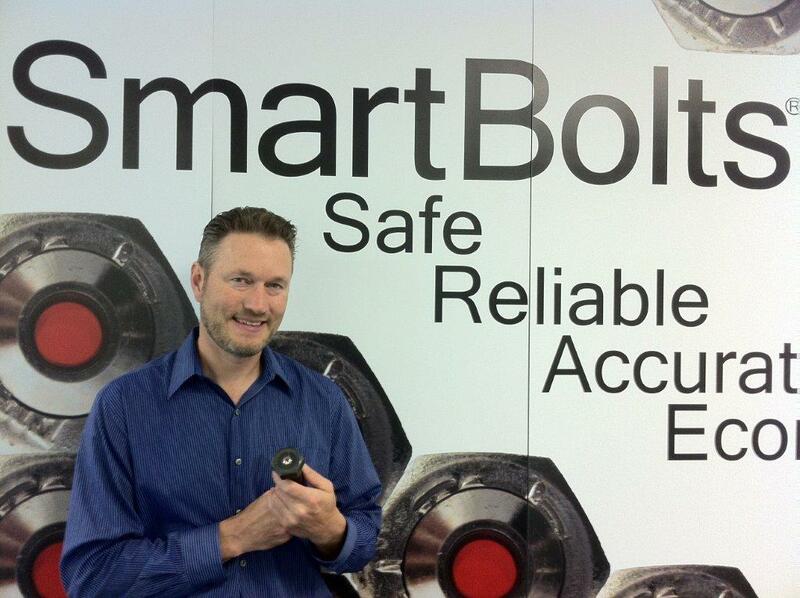 But I think one of the key things is the recognition that SmartBolts is an outstanding product for export – because it’s high value, its unique; it’s the kind of thing that can be used in almost any industrial nation. And so the foundation of our plan is that we have a very good product for export and that we have to treat the international market very seriously if we want to grow. Barry: Intellectual Property Protection. It took your dad 10 years to develop it so this would hard to reverse-engineer it in short order. Popenoe: It is patented. And we have a series of patents, some internationally. But mostly we’re protecting it based on the fact that we’re the only ones that know how to make it, and it’s not trivial to manufacture, and we’re trying to stay ahead of the competition. But at the same time, we know that the challenge is there. And then we have to keep developing new products to stay ahead of those who would copy it. Barry: What percentage of your business is international? Popenoe: Well, last year about 50 percent of our sales was international. So it’s very significant. It may even be greater than that this year. Barry: Good. And what advice would you have to other U.S. companies that are considering expanding internationally or getting into it for the first time? Popenoe: Well, I think your local Export Assistance Center has a lot of resources to help companies determine whether they’re a good candidate for exporting. And I think that’s where I would start, because that will point companies in the right direction to see where they should go from there. The networking opportunities are also great. And so at this point we’re a fledgling exporter. But, you know, in the future I certainly hope to be a model and assist others in the same path. Barry: Export sales as 50 percent of total revenue hardly fits with “fledgling,” but I admire your understatement and your modesty. Are you publicly traded? Popenoe: No, that’s not likely. We’re still a small company–but we’re growing.